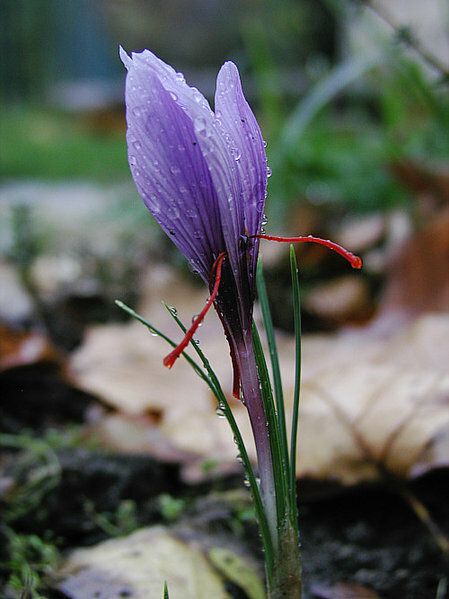 A pilot project for distributing saffron seeds has been successful throughout Helmand Province and agriculture officials expect cultivation to continue and the small flower to eventually become a common crop. Agriculture Director Abdullah Ahmadzai also reported that the new program will train 40 farmers in growing techniques. The director explained the climate in Helmand is favorable for the crop that needs less water, in a report for Pajhwok Afghan News by Shams Jalal. One concern among farmers - as detailed in Fear of Beauty - is competition among farmers and villages and finding enough markets for the expensive golden spice. And to read authentic news coming from Afghanistan, both good and bad, but refreshingly local, then head to Pajhwok Afghan News. Photo courtesy of Gut Gimritz (Germany) and Wikimedia Commons.